23 February 1943: Keel laid by the Boston Navy Yard, Charlestown, Mass. 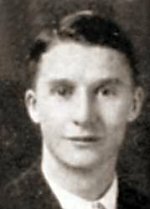 7k Ralph Waldo Elden (10 July 1907 - 06 June 1942) was born in New York, N.Y. and attended Oregon State for one year, 1927, as an engineering student. He graduated from the Naval Academy in 1931 and began a distinguished military career that would end in tragedy on 06 June 1942, at the Battle of Midway. At the time of his death Lieutenant Elden was serving as executive officer of USS Hammann (DD 412). During the Battle of Midway, 06 June 1942, when his commanding officer was wounded, he took charge and directed abandonment of his disabled and rapidly sinking destroyer until the decks were awash. He was killed in the water by an underwater explosion. For gallant and efficient performance of duty, he was posthumously awarded the Navy Cross. USS Elden (DE 264) (1943-1946) was the first ship to be named in his honor. 179k 24 May 1945: San Francisco, Cal. 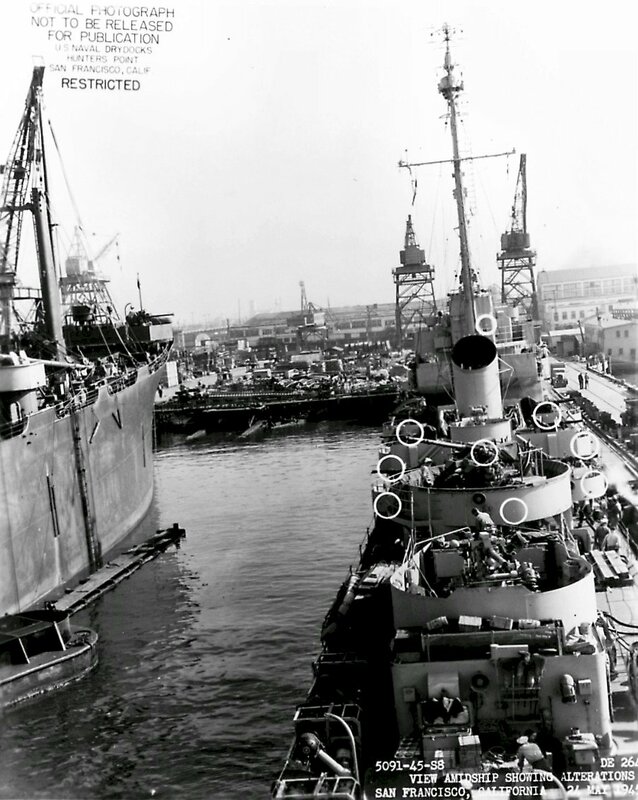 - Two views of USS Elden (DE 264) at the Hunter's Point Naval dry-docks, San Francisco, California. Circles mark recent alterations. View the USS Elden (DE 264) DANFS history entry located on the Naval History and Heritage Command web site. 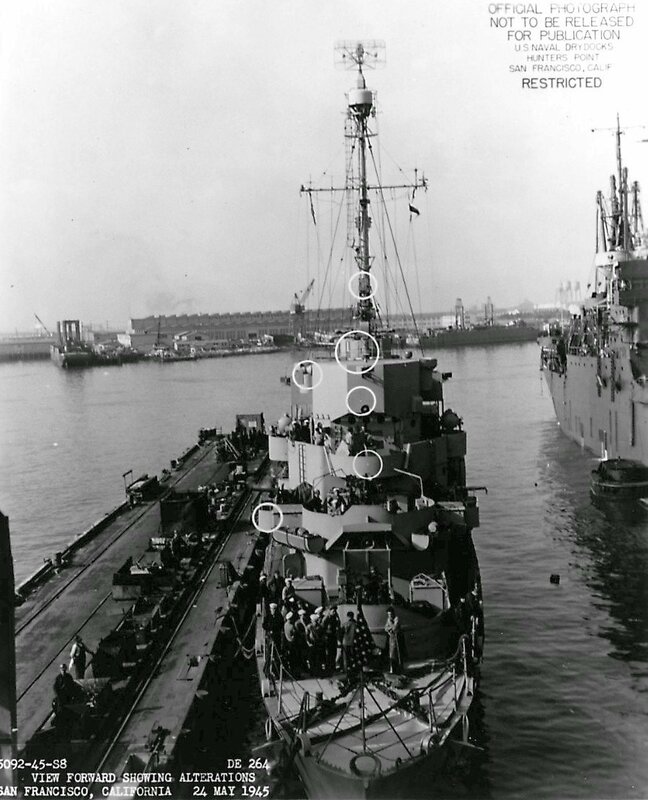 View the official War History of USS Elden as submitted by the ship at war's end.